« Ilford Discussion board - Childrens funfair » Welcome, Guest. Please Login or Register. « on: Mar 8th, 2016, 4:46pm » Report to moderator | Quote | Modify | Like this! A funfair for all the family to enjoy, rides are all operated with a wristband which is bought at the entrance in the pay desk. The wristbands are 1 price and allow you ride unlimited until the wristband time ends. a food court is on site with different ranges of delicious food and drink. The old wristbands are void and cam not be used again. £2 entry for non riders but children under 1metre and OAP will go in free. « Reply #1 on: Mar 9th, 2016, 11:10am » Report to moderator | Quote | Modify | Remove | Like this! I don't like funfairs so am unlikely to go anywhere near it but perhaps you should let us know where this is so that anyone who wants to can find it! « Reply #2 on: Apr 1st, 2016, 11:46am » Report to moderator | Quote | Modify | Like this! 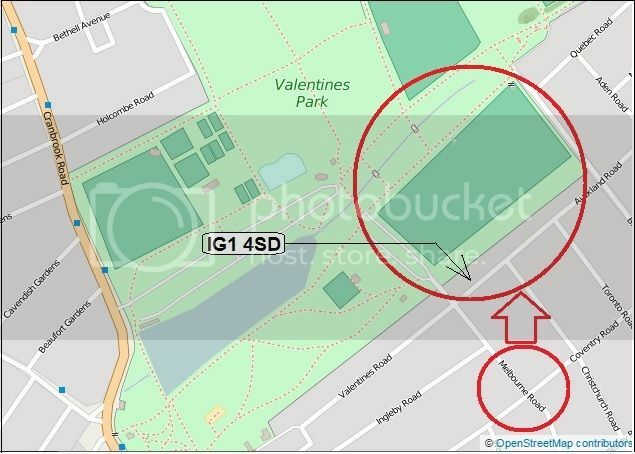 I think "VALENTINES PARK.. MELBOURNE ROAD..ILFORD..IG1 4SD" might be a BIG clue! « Reply #3 on: Apr 1st, 2016, 5:30pm » Report to moderator | Quote | Modify | Remove | Like this! Ktype: I'm not a complete dimwit! The original poster edited his post to include the venue AFTER I posted my reply. « Reply #4 on: Apr 1st, 2016, 7:12pm » Report to moderator | Quote | Modify | Like this! Grovelling apologies! Other Forums (or shouldn't that be Fora?) that I frequent only allow a short time after posting for editing, which avoids this sort of confusion. I didn't realise (or had forgotten) that there is no time limit here! « Reply #5 on: Apr 2nd, 2016, 9:51am » Report to moderator | Quote | Modify | Like this!